Another great job by Vince Flynn. Can't wait until I get the rest of them on my list. He is the best writer of a military thriller which includes treason and espionage. I will read him as long as he writes! 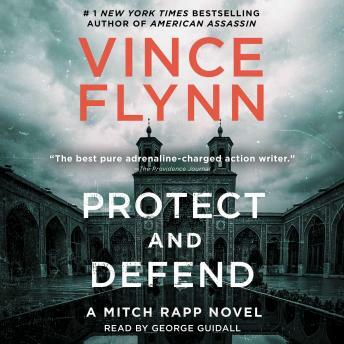 This was my first time reading Vince Flynn, I am looking forward to reading his novel again! Well done!! This was very spellbinding. It kept my interest thoughout. It was a little too close to reality in some of the scenarios. Kept me in my car listening after I got home. A VERY GOOD BOOK. A LITTLE BIT UNBELEIVABLE HOWEVER, IT KEEPS YOUR INTEREST. A LOT OF BACKGROUND INFO. COMES WITH READING THIS BOOK. I WOULD RECCOMEND IT. Vince Flynn does it again! Mitch Rapp does what we all wish we could do. He is Jack Bauer, only smarter. If you haven't listened to this book, you're missing out.